Subaru took a bold move in the world of marketing cars a few years back. They added the word, “Love” to the front end of their slogan, “It’s what makes a Subaru”. It was bold because who uses the word “love” in the business world? So how often have you considered the words love and leader together? That would be even more unusual in our world of business and bottom lines. Call it mushy if you wish, but the leaders who don’t understand the role of love in leading need to step down, because without it, a leader can’t be effective. You love people enough to believe that they are whole, perfect, and capable of doing the work you lead them in—and more. You trust and nurture others by your examples of following through, mentoring, developing, and stretching them. This love of people is the kind that is unconditional. You love learning about the people you lead and you adjust the way you lead them accordingly, so that everyone feels like you are paying attention and caring for them. You learn from the mistakes you make, and you don’t make them in the same way again. And you find ways to develop yourself, continually learning to increase your impact and influence as a leader. You love the work of managing (because you also have to manage things) and leading others. You love the hardest parts of leading people even when it is messy, hard, heartbreaking, and just plain awful. Because it will be mostly good, but sometimes leadership requires you to do things that you would rather not do, but you do them anyway in the name of love. You love yourself enough to take care of your physical and spiritual being. This means a lot of things, but mostly it means not allowing your love of leadership to overwhelm you so much that you don’t do the things that keep you balanced, like spending time with your family and friends, exercising, eating well and getting enough sleep. You love yourself enough to spend time doing things that aren’t work that move your body and your spirit, whatever those might be. We’ve all seen leaders who complain and grumble about leading people (“Leadership would be great if it weren’t for the people”). You aren’t one of those, and it works in your favor. So you lead at your best, and you do it with love. 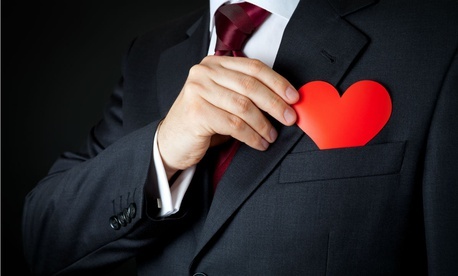 Surprisingly, love is what makes a leader. Mary Jo Asmus is an executive coach and a recovering corporate executive who has spent the past 12 years as president of Aspire Collaborative Services, an executive consulting firm.